I love books–and movies, for that matter–that play with time and space. When I came across the description for TWO SUMMERS by Aimee Friedman, I was intrigued by the premise. How much difference can one decision make? I really liked the way this story explored the question. When Summer Everett makes a split-second decision, her summer divides into two parallel worlds. In one, she travels to France, where she’s dreamed of going: a land of chocolate croissants, handsome boys, and art museums. 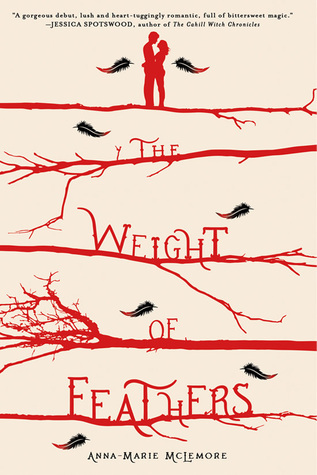 In the other, she remains home, in her ordinary suburb, where she expects her ordinary life to continue—but nothing is as it seems. In both summers, she will fall in love and discover new sides of herself. What may break her, though, is a terrible family secret, one she can’t hide from anywhere. In the end, it might just be the truth she needs the most. 1. The title – I so love a clever title, and you can’t get much more perfect than this one. Because her name is Summer and it’s summertime, so she’s experiencing two summers and there are two Summers in the two realities. Anyway, I’m sure you got it before I explained it :). 2. The descriptions – I loved the descriptions, particularly of France (a country I’d love to visit again), but also of her home town, and the way Ms. Friedman would slip in the slightest hint each reality could be a dream. The wind rustles the leaves on a lemon tree above us. I feel detached from the table, separate, watching myself having a conversation with this handsome French boy. That can’t be me, I think hazily. It’s another Summer. One who isn’t scared. Over Jacques’s shoulder, I notice a tableful of girls blatantly staring at us, their mouths half open. I totally understand their shock. I share it. 3. The friendship – In both realities, Summer experiences the uncertainty of a changing friendship. It’s much more confrontational in the Hudsonville storyline, but it’s still there in the Provence storyline. On the other hand, there’s another relationship that’s much more prominent in the Provence storyline, but explaining that would give away a major plot point. 4. The romance – There are two very different romances happening in the two storylines, and yet I found them both sweet in their own unique ways. As with the other point, I’m really holding back here so I won’t give anything away. 5. The ending – I loved the ending of this. The story is set up as: here’s what could happen if she goes to France or doesn’t go to France. Certain events happen on certain dates no matter what, and then you get to the end and … well, it’s just brilliantly done. Enough said. Have you read TWO SUMMERS? What did you think? 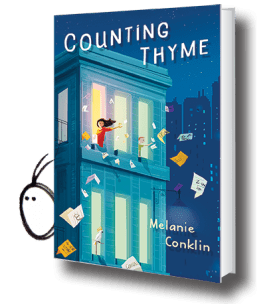 I’ve been anxiously awaiting Melanie Conklin’s COUNTING THYME for what seems like forever. We’ve been Twitter friends for years, and she even read a partial of one of my manuscripts once (thanks again, Melanie! ), after which she recommended I read THE BURNING SKY by Sherry Thomas. Love the whole series! In any case, COUNTING THYME completely lived up to my expectations, and I’m thrilled to review it for MMGM. After Val’s treatment shows real promise and Mr. Owens accepts a full-time position in the city, Thyme has to face the frightening possibility that the move to New York is permanent. Thyme loves her brother, and knows the trial could save his life—she’d give anything for him to be well—but she still wants to go home, although the guilt of not wanting to stay is agonizing. She finds herself even more mixed up when her heart feels the tug of new friends, a first crush and even a crotchety neighbor and his sweet whistling bird. All Thyme can do is count the minutes, the hours and the days, and hope time can bring both a miracle for Val and a way back home. 1. The title – Yes, there’s a reason her name is Thyme, and it’s explained. But this title has multiple meanings and I love the play on words. It’s just perfect on so many levels. 2. Thyme’s family – I loved every member of this family, from Thyme’s mom trying to hold everyone–including herself–together, her dad maintaining some fun where possible, her sister acting out, and her brother surviving. And where did that leave Thyme? That central question invested me from page one. 3. The friendships – There were multiple friendship stories happening within the book: Thyme and her best friend back home, Thyme and the girls at school, Thyme and the boy at school, Thyme observing the friendship between the girls at school. I liked how Thyme had to sort out these friendships and discover how she fit into each one. 4. The sound production team – How cool that Thyme found a project in the midst of everything else she was going through. I enjoyed reading about her experiments finding everyday objects that would make the desired sounds for the play. It was an interesting subplot that also fit very well into the overall story as she had to decide where this Thyme project fit into her family. If you haven’t read COUNTING THYME yet, I suggest you do so. I have a feeling this one will be getting some award attention. I know I’m late to the party here, but I read Ally Carter’s Heist Society series before the Gallagher Girls. So when I went to her St. Louis event in February 2013 for the release of PERFECT SCOUNDRELS, I was a bit shocked by the huge turnout of teenage girls armed with hundreds of questions about the Gallagher Girls. I’d only read the first one at the time, so many of the questions went over my head. Fast forward to the Scholastic Warehouse Sale in December, where I picked up books three through five for a steal. I still had quite a backlog, but I checked out the e-book of the second book for our Disney trip (you thought I was finished talking about what I read at Disney World, right?). While I enjoyed the first two books, it was really book three, DON’T JUDGE A GIRL BY HER COVER, that hooked me so I had to read the rest of the books immediately. So, without further ado, here’s my review with the cover and description for the first book. The Gallagher Academy for Exceptional Young Women is a fairly typical all-girls school—that is, if every school teaches advanced martial arts in PE, chemistry always consists of the latest in chemical warfare, and everyone breaks CIA codes for extra credit in computer class. So in truth, while the Gallagher Academy might say it’s a school for geniuses what they really mean is spies. But what happens when a Gallagher Girl falls for a boy who doesn’t have a code name? 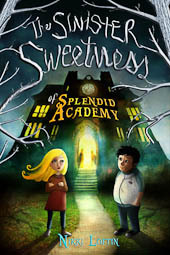 Cammie Morgan may be fluent in fourteen languages and capable of killing a man in seven different ways (three of which involve a piece of uncooked spaghetti), but the Gallagher Academy hasn’t prepared her for what to do when she meets an ordinary boy who thinks she’s an ordinary girl. Sure, she can tap his phone, hack into his computer, and track him through a mall without him ever being the wiser, but can she have a regular relationship with a regular boy who can never know the truth about her? Cammie may be an elite spy in training, but in her sophomore year, she’s doing something riskier than ever—she’s falling in love. 1. The premise – A spy school for teenage girls? Yes, please! 2. The titles – How can you resist such clever titles? I actually have a funny story about the last one. Ms. Carter had us vote on the title options for the final book in the series, and we chose UNITED WE SPY. I don’t think our vote really mattered in the scheme of things, but it was still fun! 3. Cammie’s growth – These books got better and better as they went along. Cammie grows up so much, which makes sense with the books spanning two years of her life. She starts out pretty naive, with her biggest concern being how to interact with a boy, but by the end she’s dealing with world-changing stakes. Thinking back to the first book, I was amazed at how much had happened, and yet I believed in the girl Cammie became. 4. The plot details – I have to say that as the series progressed, I felt like the plot of the first book became irrelevant, and then in book five, BAM!, what happened in the first book became relevant again. I was very impressed with how Ms. Carter wove in the early story with what seemed like a very different direction later on. 5. The pacing – As I mentioned above, I enjoyed the first two books, but it was book three that got me hooked to the point where I couldn’t put the books down. In fact, one Thursday I finished the third book and then stayed up until after midnight to read the whole fourth book. I’d say that one was my favorite in the whole series. There’s also a cross-over novella with characters from the Gallagher Girls and Heist Society series that made me want to see Kat attend the Gallagher Academy. Wouldn’t that be fun? Anyway, Ally Carter has officially become one of those authors for which I will have to buy every book. Have you read this series? What do you love about it?